Following the appearance of flying saucers in 1947, the world experienced a wave of UFOs for several years. By 1955, however, sightings appeared to have dropped significantly. Gray Barker took advantage of this break in ufological action to collect a series of articles that might explain what was going on. The articles herein not only describe, in detail, the various characteristics of the UFOs and their occupants, but also make it clear that UFO sightings and "contacts" were still continuing - they just weren't being reported by the mainstream media anymore. 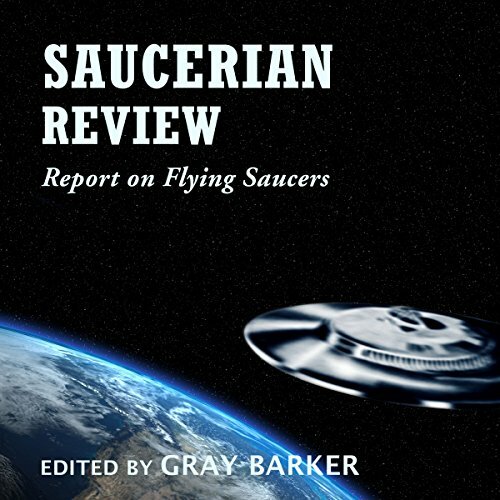 This special 2014 reprint of Saucerian Review's "Report on Flying Saucers" is an exact facsimile of the original, and features rare and illuminating articles by Barker, George Adamski, Morris K. Jessup, Jacqueline Sanders, Alice K. Wells, Laimon Mitris, and others. There is also an on-the-scene report from the site of the famous Hopkinsville, Kentucky "monster" incident, where a family shot at UFOs and little green aliens that were attacking their farm. Adamski's scathing article about trickster Jim Moseley is just one of many special treats. A necessary addition to the shelf of today's historically minded saucer enthusiast.